So much has happened since our last prayer letter. As you know, we left California in March and began traveling east. We had wonderful meetings throughout the west and mid-west. These meetings stretched throughout NM, CO, KS, IA, MN, IN, and finally Cleveland, OH for BMM’s Tri-Annual Conference in early July. Along with our regular presentations, we were privileged to be part of two Vacation Bible Schools this summer, both in MN. We loved talking to the kids about Peru and what it means to be a missionary. We even showed them our little “Peruvian jungle animal”- our dog, Adi! Not sure about this, but the kids might have liked her more than they liked us! With all the traveling, there is always need for maintenance and upkeep. By the time we arrived in MN, we had to do several repairs to the trailer, including a repair to the floor, which became spongy due to excessive rains and humidity. By the time we left the state, we had developed a few leaks in the roof, which we didn’t fully repair until this last week in South Carolina. Here we were able to investigate some potential transfer case issues we have recently developed, which as of yet, have not been resolved. We praise God for not having any major breakdowns or being stuck on the side of the road thus far in our travels, but ask you to pray for needed wisdom on the transfer case issue, which could necessitate a complete rebuild. Twenty Peru Team Members attended Baptist Mid-Missions Conference in July! 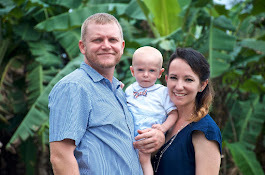 Very happy for the Stein and Cochrell Families, as they head to Peru in August for their first term! As you know from our ministry presentation, we plan to work with several national pastors and missionaries. Throughout our deputation travels, we have had many people ask how to help and support nationals who are serving the Lord. In order to facilitate this desire, Baptist Mid-Missions has helped us set up a special account to help these national servants. Those who have a special burden to help a national missionary can give to this account, the goal which would be to assist them until the new church is able to support their own pastor. This fund will also be available to help in times of emergency or to help with a special need. Individuals or churches can give to this fund through a one-time gift or can set up a monthly gift. 100% of the monies donated to this account will be given to the nationals. We will update you on where these funds are used, so you can see how the Lord is using your gift and so you can be praying specifically for these servants of the Lord! The national missionaries will also be asked to raise support from churches in Peru. Deputation is a very important part of being a missionary, and we don’t want them to miss out on all the blessings and learning it brings! The fund is set up under our Project Number (#701364), but if you desire to give to the account, please specify that the gift should be put into the National Pastor’s Assistance Fund. Should you have any further questions, feel free to contact us or Baptist Mid-Missions.